A country of deep spirituality, magical palaces and exotic animal encounters. Brunei Darussalam is a hidden gem, located on the island of Borneo between Malaysia and Indonesia. The nation is surrounded by lush green rainforests and scenic beaches, and has a rich spiritual aura surrounding it. Brunei has a population of more than 423,000. Top attractions include Sultan Omar Ali Saifuddin Mosque, Tasek Lama Recreational Park and Brunei Museum. Pack your bags for a magical adventure, because cheap flights to Brunei are now available for a limited period of time! Brunei is home to Brunei International Airport (BWN), located on a 15-minute drive from the capital city of Bandar Seri Begawan’ city centre. 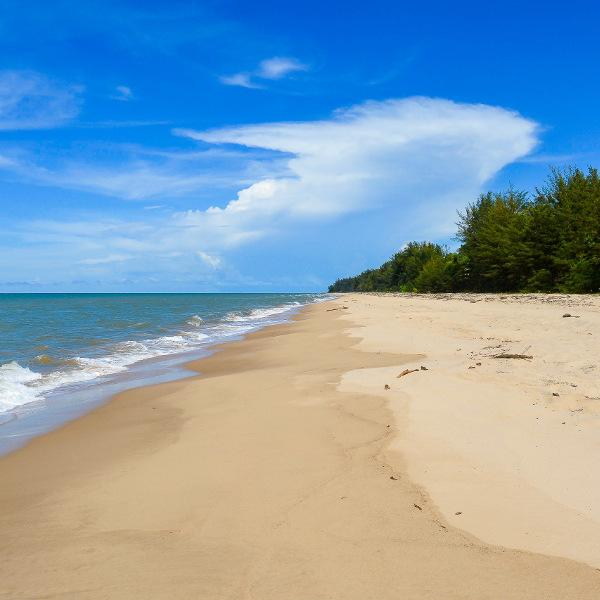 The warm waters of Serasa Beach and Pantai Berakas beach have been described as a soothing caress after a long day. Brunei is known for its beautiful beaches of fine, white sands and easy-going tides. An ancient, rich culture blends seamlessly into the country’s Islamic heritage and sees tourist visiting the great mosques of Sultan Omar Ali Saifuddin Mosque and Jame' 'Asr Hassanil Bolkiah. Discover the history and intrigue behind this marvellous country and see the parallel lines between South East Asian history and Brunei. 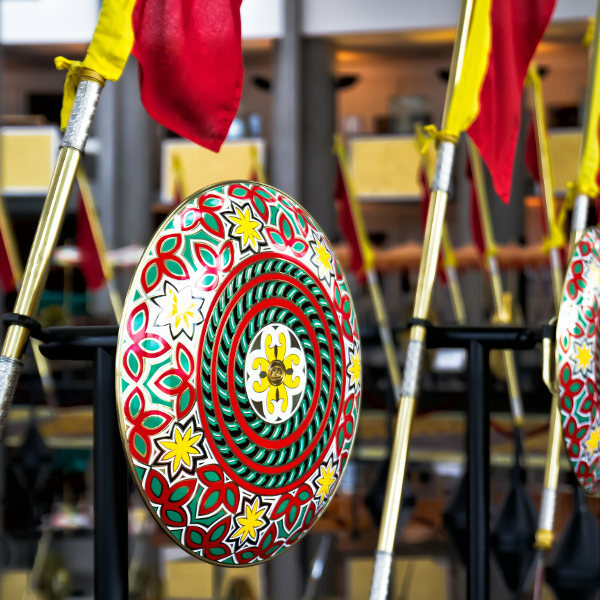 Make sure to visit Brunei National Museum and Royal Regalia Museum. Brunei has a naturally warm climate as it is located in the tropics. The weather is good all year long, but it can get extremely humid at certain times of the year, such as between the months of September and January. Although the country does not see an extensive influx of visitors, peak season in Brunei falls between January and May when the temperatures are hot and there is less rain and humidity than during the rest of the year. The beautiful country of Brunei may be unbeknown to many travellers, but once found it is hard to forget. It is one of the richest nations in all of Asia and is ruled with stringent laws and regulations, allowing for ease of flow in the streets of its cities and everything having its dutiful place. 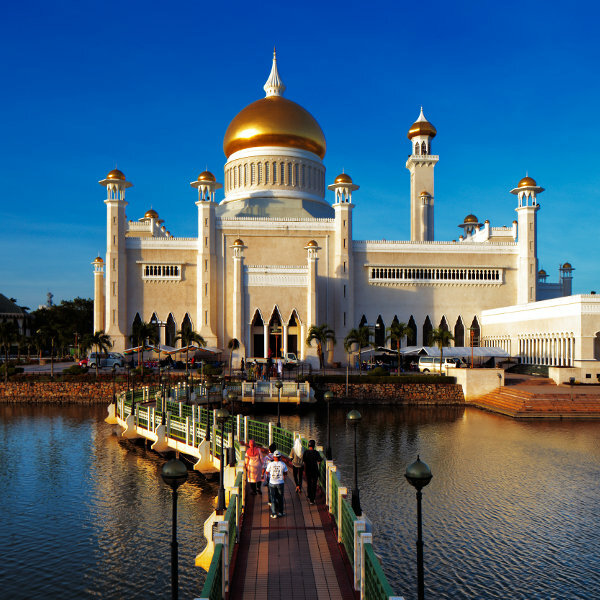 Brunei is governed by the Sultan, and visitors are allowed to visit the main palace and gawk at its splendour along its riverside home in the capital of the country, Bandar Seri Begawan. Not just opulence and grandeur, Brunei is also home to some magical and untouched rainforests that are crawling with creatures big and small. The Borneo Slow Loris is unique to the region and if you’re lucky, you may also catch glimpses of proboscis monkey and majestic clouded leopard. Compare several airlines, and book your cheap flights to Brunei online with Travelstart! Brunei is considered as one of the safest countries in the world, with crime levels at an impressive low. However, it is always important to be aware of your surroundings and so visitors are advised to do so. It is always important to have your vaccinations up to date when travelling abroad. There are no compulsory vaccines needed for your trip to Brunei, but it is recommended to get a shot for typhoid. Other vaccines to consider include hepatitis A, hepatitis B, Japanese Encephalitis, rabies and yellow fever.